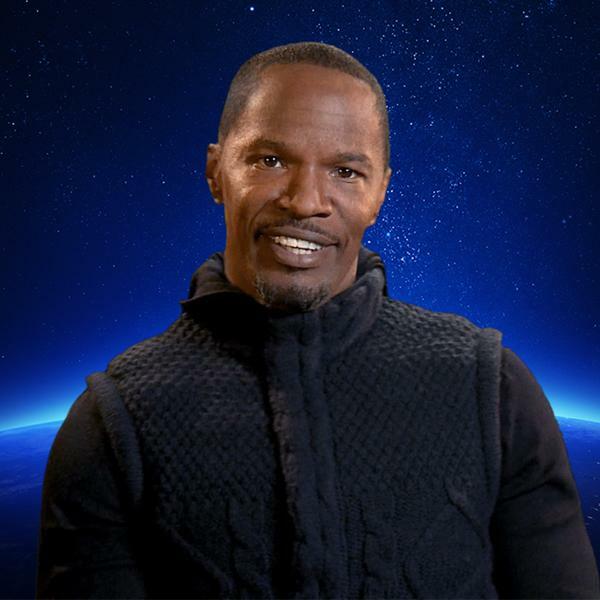 Jamie Foxx, who plays the villain Electro in the highly anticipated motion picture The Amazing Spider-Man 2, is joining his co-stars Andrew Garfield and Emma Stone to call upon the global community to take simple actions to protect the planet. As part of WWF’s Earth Hour Blue program, Foxx is supporting the ‘Light Up A Village’ project, a clean energy project from WWF-Uganda. The actor is urging participants to go online and contribute funds to the Light Up a Village crowd-funding project, which will provide solar lights and energy efficient mud stoves to families living around an area in Uganda that is known as the “Earth Hour Forest”. The project will protect newly-planted trees by meeting the basic energy needs of the locals. Just one energy efficient mud stove can save up to 33 trees from being cut down. In conjunction with the Earth Hour 2014 celebrations in Uganda, one million trees are being planted across the country by youths over the next year, with the majority earmarked to help fill the 2,700 hectares of land marked out for the Earth Hour Forest initiative. Another global solution-driven crowd-funding project on Earth Hour Blue for people to back is a Colombian conservation project for The Amazon that aims to protect endangered species like the jaguar, Andean bear and the pink river dolphin, and work with indigenous communities to use and restore natural resources in a responsible way. The crowd-funding project from WWF-Colombia, called ‘Lights OFF AmazON’, allows you to invest in the largest ecosystem on the planet by raising funds to implement infrastructure for sustainable industries for indigenous communities. Earth Hour in Australia has also launched a report, ‘Lights Out for the Reef’, that highlights the latest scientific findings about climate change impacts on the Great Barrier Reef. The report confirms that urgent action to cut carbon pollution is needed in order to save the Reef. “If we don’t act now, the effects of climate change on the Great Barrier Reef will be irreversible in a little more than a decade,” said Professor Ove Hoegh-Guldberg, one of the world’s leading experts on the Reef. The Reef is under threat due to climate change and a recently-approved government decision to develop a mega coal and gas port that would cause dredging and the dumping of millions of tonnes of seabed and rock in its Marine Park. This year’s Earth Hour will see music becoming a major focus to inspire environmental action on islands at the forefront of climate change and sea level rise. Reggae artists in Jamaica will perform an acoustic concert, and in Tahiti, 5,000 people will gain entry to a massive acoustic concert at Stade Paster by handing in a piece of recyclable waste they’ve collected to avoid landfill. 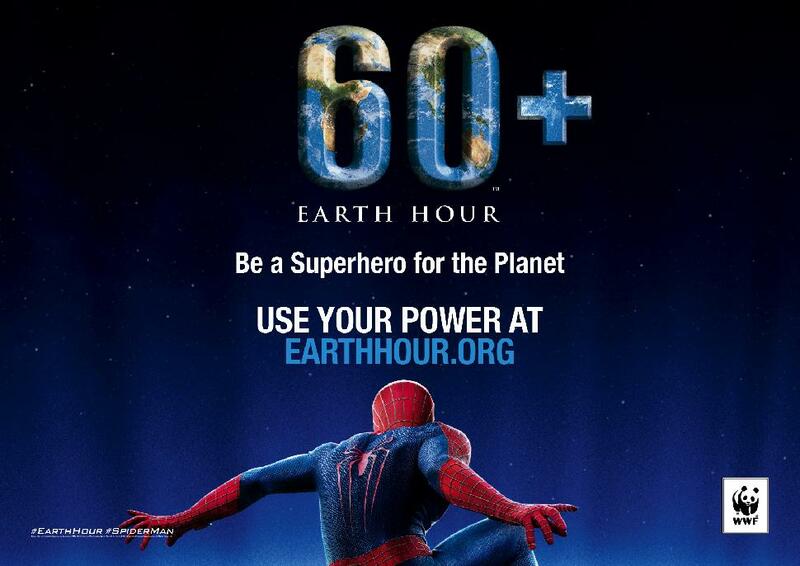 Following the recent announcement that Spider-Manis the first superhero ambassador for Earth Hour, the film’s cast will help to switch off the lights across Singapore’s signature Marina Bay skyline on Saturday March 29, at 8.30pm. The Amazing Spider-Man 2 is the most eco-friendly production in the history of Columbia Pictures.